Please join us at our market on 6th April. We will have live music by the duo, Stone Jets. Come browse the different stalls whilst relaxing to their acoustic folk sound. There’ll be an adventurous Easter egg hunt for the kids. They can also have their faces painted, work off some energy on the jumping castle and take a tractor ride round the farm. We’ll be serving delicious cooked lunch at the Bayleaf Café or you can have afternoon tea with a decadent slice of cake. We look forward to you sharing in our relaxed country atmosphere. 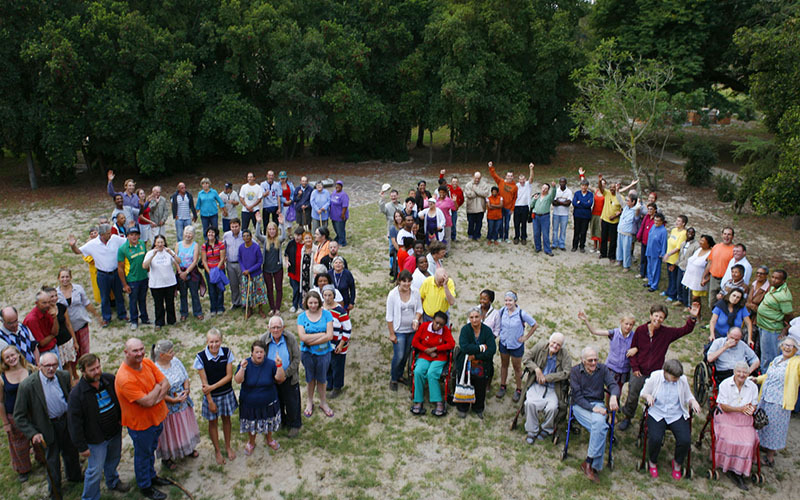 Camphill West Coast celebrates its 50th anniversary this year! What started out as a sandy, desolate place in the middle of nowhere has transformed into a veritable oasis and landmark in the Atlantis and Klein Dassenberg area. Founded by Renate and Julian Sleigh in October 1964, they started out with a small group of residents with intellectual disabilities (ID). In fact, the first batch of residents were young adults who had grown up and attended school at our (older) sister organisation in Hermanus. Today Camphill comprises 14 group homes that house some ninety residents who live in community with their house leaders, domestic team leaders and volunteer young co-workers, many of these from abroad who are taking a gap-year.Our residents range in age from 18 to oldest being 83! Based on anthroposophical principles espoused by Rudolf Steiner, Camphill set out to enliven the land using biodynamic methods which is more than just organic farming. 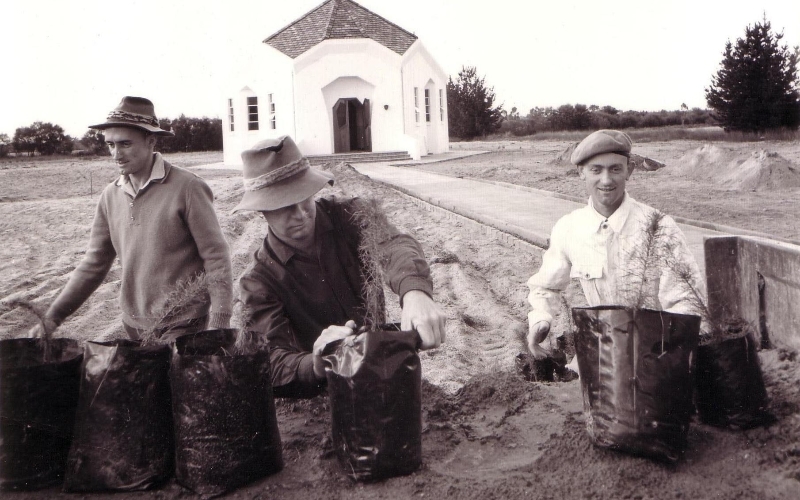 They planted trees, developed the lands and built soil out of sand. They worked with cycles and rhythms of the earth. They evolved, progressed and prospered. As the number of houses and residents grew, so too did the number of enterprises but, more particularly, so too did the community. Today Camphill is a thriving, vibrant, rich and diverse community that cares for people with ID and other cognitive disabilities, and it continues to striveto maximise its self-sufficiency. Not for nothing are we called a Village – because we truly are a microcosm of the broader society – and in many respects a healthier version of it. Whereas modern society is characterised by social anomie, isolation, materialism and disconnection from each other, the earth and the planet; at Camphill we don’t experience these trends. We form strong bonds with each other; we have a sense of being part of something bigger than ourselves as individuals – we are a community and we have a strong sense of belonging, a sense of place. We remain connected to the earth, we work the land. Every individual is needed and appreciated. Every person is valuable, not just as a means of production participating in an economy, but for the intrinsic spiritual value that each soul brings to our community. We look beyond disability and weakness and see abilities and strengths. Does this sound Utopian? Perhaps. But it has not been all plain sailing. 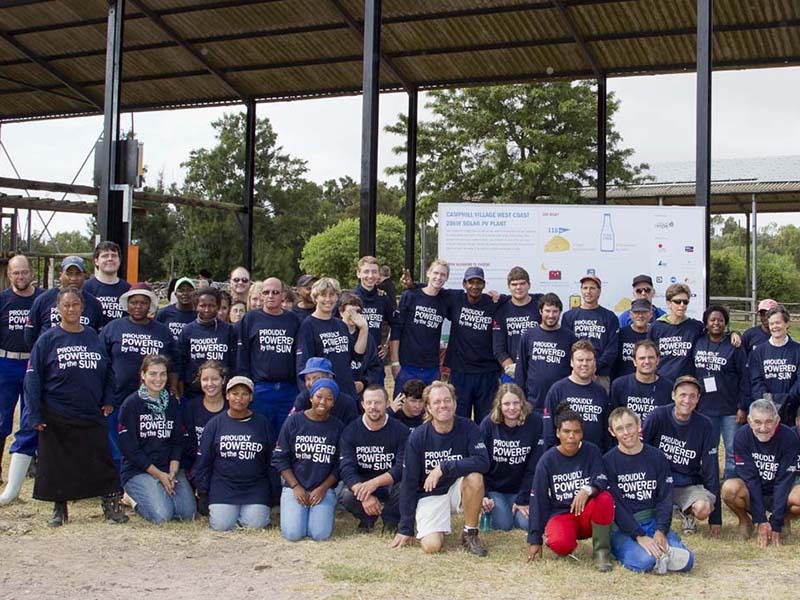 Like so many organisations – and other Camphills (there are 100 of them around the world), we are challenged by a changing political, cultural and social landscape. The number of committed anthroposophists has decreased as they have either passed or moved on. Whereas working at Camphill is still more a vocation than a career, something has changed in the driving dynamic of service. In addition there is more government regulation and less funding – making it more difficult to meet increasing demands with diminishing resources. Inevitably this has put strain on many organisations such as ours, and we have not been unscathed. In fact, we have gone through a very rough patch for a number of years that made us quite vulnerable. Only now, after a two-year process of restructuring, are we beginning to see light at the end of the tunnel. Things move slowly as Camphill is a hugely complex, multi-faceted and multi-layered organisation! As we celebrate our 50 years, we are committing ourselves to renewal and regeneration – on many levels. James, the son of founders Renate and Julian, has become the full-time MD and provides new vision, leadership and direction to the organisation. We are re-visioning ourselves and working more strategically and systematically. We have our exciting solar power project (see adjacent article) which makes us greener than before.Ronel, a highly qualified horticulturist, has joined our ranks and will breathe new life into our herb and vegetable enterprise. Under the leadership of Marc, an artisan baker, our bakery is expanding with new contracts and greater range of products. Hennie, our qualified cheese maker, has changed the way our dairy runs, and Neill, our qualified farmer, is expanding the piggery and we aim to rekindle our own butchery. Lima and Minion developing improved cosmetic products. Jeffrey had changed the look and range carried by our shop and extended its operating hours. Birgit has taken our clothing and trinket shop to new heights. But more than this, we aim to get more residents involved in working the lands and in the various enterprises and this task fall to Peter, the social worker. Our co-workers, young co-workers, domestic team leaders and staff are all pivotal to the success of Camphill and they too are gearing themselves with renewed vigour to improving their skills and capacities through in-service training. The houses, many of them built in the 70s had become shabby, in particular the bathrooms and kitchens were sub-standard. We have embarked on a programme of upgrading these and are very grateful to our generous funders who have made this possible and have transformed our facilities. We remain grateful to our loyal friends and supporters and call on you to join hands with us to make our renewal and regeneration possible.Please help us to achieve our vision encapsulated in our new motto: From Sustained Ability to Sustainability! The weeks leading up to the inauguration of our Solar Plant on Wednesday the 19th of March, saw all at Camphill working hard together to ready ourseves for the launch. The plant was inaugurated by Councillor Xanthea Limberg, Chairperson of the City of Cape Town’s Economic, Environmental & Spatial Planning Portfolio Committee. What started as a concept two years ago, has become a reality – a 20KW solar plant that produces elctricity from the sun to power our dairy. 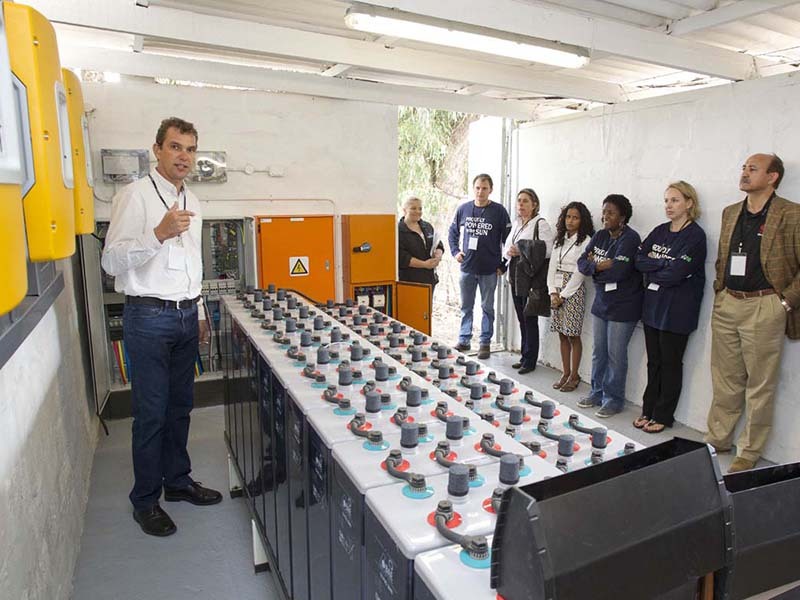 The project was the brain child of German-based Dr Kris Drabik and Dr. Katrin Emmrich, of Rays of Hope, who brought together large companies in the field to create this Solar PV generator. Locally, Peter and Leza Sieckmann of Sieckmann Engineering project-managed the setup. First Solar donated 300 thin-film panels, and all the other components were generous donations. 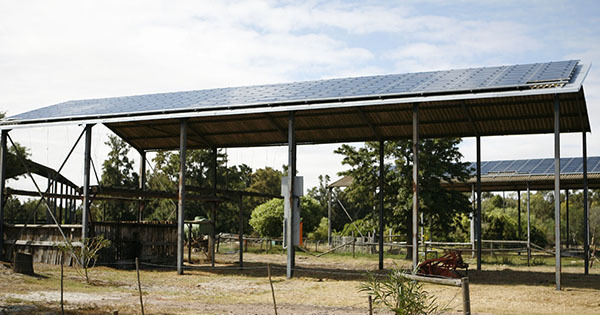 The installation of the panels was donated by Southern Sun Solar. The benefit of thin-film technology is that even in indirect sunlight, or on cloudy days, electricity continues to be generated by the sun. We anticipate that this plant will help us save approximately R1.44 million in electricity costs over the next 20 years. And, with the uncertainty of constant electricity supply from Eskom, it means that our dairy can run un-interruptedly. Sun energy also ties in with our commitment to sustainability. While this is a great achievement, we now want to aim our sights at increasing the project, so as to build up the plant to the size that we can take the whole of Camphill off the grid. This is an ambitious task, but we are already planning Phase II of the project. We are deeply grateful to Rays of Hope and these companies and people who donated to make this a reality, namely: First Solar, BAE, Dehn, Hanel Projects, Lahmeyer International, Leschaco, Q3, Schletter, Sieckmann Engineering, SMA Solar Technology, Solardura, Southern Sun Solar and UFE, Solar PV Thin-Film Panels. Well, the Easter Season is once more upon us. Foil-wrapped eggs and chocolate bunnies peer at us from supermarket shelves and people are making plans for the long weekend. But, what is the true meaning of Easter? Is it painting eggs and Easter egg hunts, Braaivleis and socialising, or is the true meaning of Easter something entirely different? Where, along the way, have we lost the reverence of this most important of Seasons in the Christian Calendar? What has happened to the time of “Looking Inside” ourselves, of taking stock of our Relationship with the very same Christ, who offered his life to save our souls. It is a time of giving – not chocolate eggs – but of ourselves, in compassion and Love, to others less fortunate, to our fellow man. It is a time to lead by example and put into practise the true meaning of Easter, and then to rejoice on Easter Sunday, with Mary Magdalen, Peter and John, that the Christ is truly Risen from the Dead to bring new Life to us all. A happy and truly Blessed Easter to us All. Uta has been in the Camphill movement for all of her adult life. 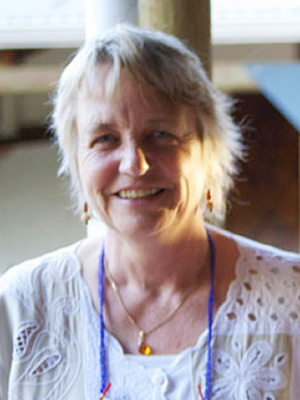 She and Christoph joined Camphill West Coast in 1984, and have to a large extent in the last many years. They are leaving to assist pioneering a new Camphill in Ireland, and we wish them lots of strength with their new task. Uta ran a care house (Grover), and held the position of Health and Wellbeing manager. Her position is being replaced by Uli, a trained nurse who ran an old age home in Austria. Maria: Uta is a wonderful person, a very good musician (she plays the recorder), and she was my house-leader in Acacia a long time ago. Lime: She inspires me regarding caring, especially for people with disabilities ... to respect and listen to them, and make them feel at home at all times. Max: She was a hard-worker for Camphill. Renate: She ran the kiddies-nursery in the earlier days and the children loved her. On her Sabbatical, she went to Britain, where she did a Care-giver’s Course, which enabled her to run the first Care-house in CVWC. 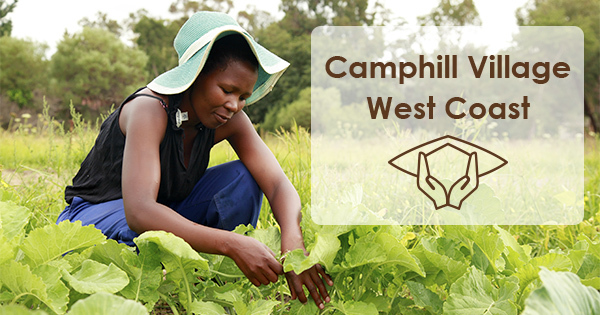 Vote for Camphill Village West Coast and we stand a chance to win R50 000! 1. Visit MySchool to enter the competition from 7 April 2014. 2. Select any one of our registered MyVillage or MyPlanet charities. 3. Insert your personal details and your MySchool MyVillage MyPlanet or Woolworths linked card number and press vote. 4. Get a MySchool card if you don't have one yet. Sign up here. 5. Encourage your friends, family and colleagues to do the same so that Camphill Village West Coast can win!